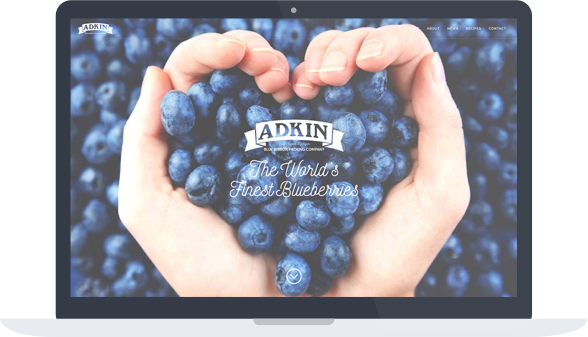 Adkin Blue Ribbon Packing Company, located in South Haven, Michigan is a large blueberry distributor to stores like Meijer and Aldi. 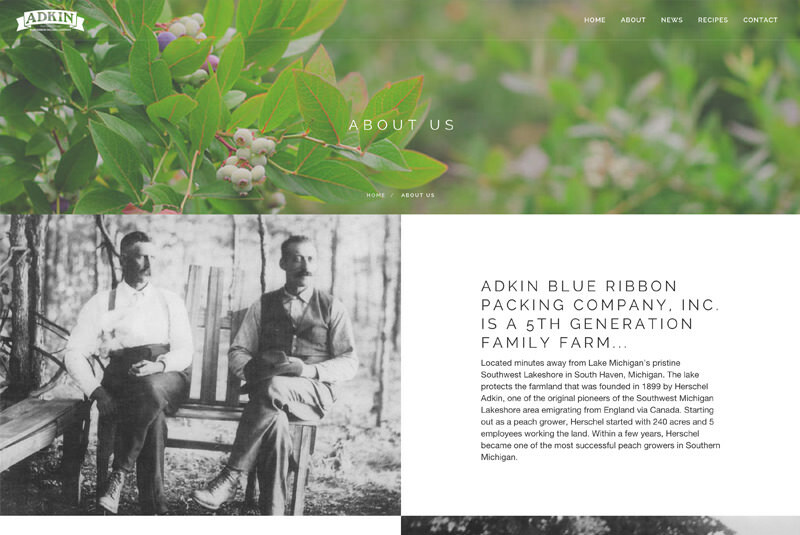 The Adkin family was without a website for sometime before our paths crossed. 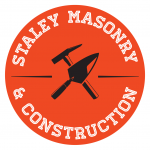 We knew from the beginning that a website for a farm must first represent the experience on the farm. Customers like to know where their produce is coming from and how much care goes into making so delicious. Knowing this we designed a simple and elegant site that represents the farm and the people that run it. 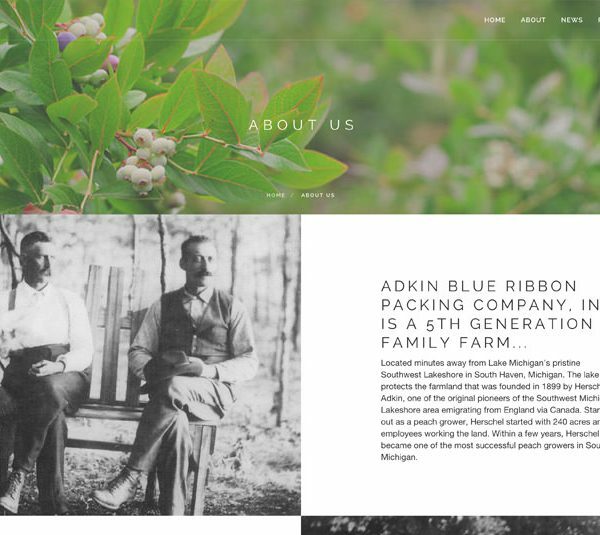 We focused on the history and how the Adkin family built this 5th generation farm. 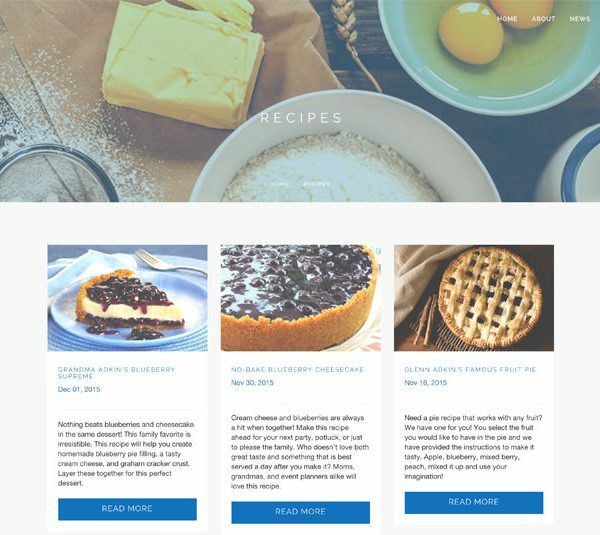 This site was built in OctoberCMS which allowed us to add some additional functionality such as two blog feeds; a recipes feed and a news feed. 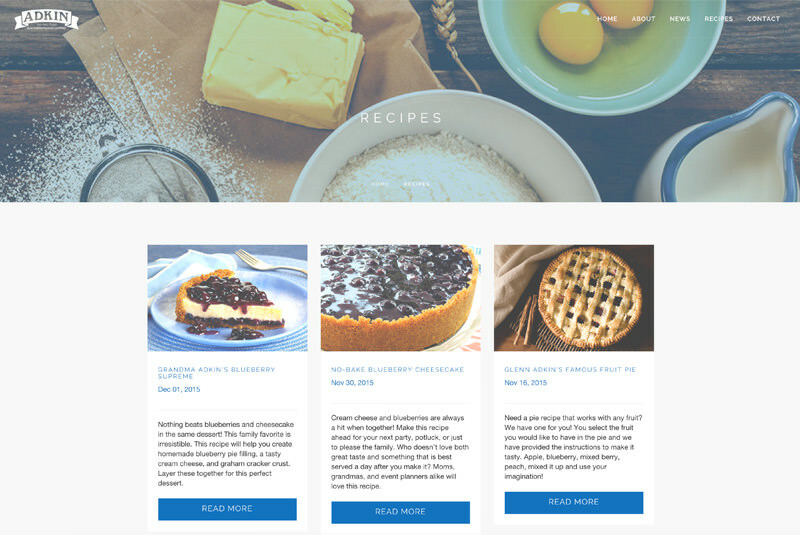 The site is responsive and displays beautifully on any device.